The Russian government pledged to minimize the fallout from U.S. sanctions on Tuesday and dismissed steep falls in the ruble and financial markets as short-term volatility, saying Russia needed time to adjust to the new curbs. The ruble fell sharply for a second day, shedding over 3 percent of its value against the dollar despite rising prices of oil, the country's main export, as investors continued an asset sell-off fuelled by fears that the United States could impose more sanctions and a realization that Russian credit and market risks have substantially increased. "Being on the Russian stock market is like living on a volcano," he said. Analysts are struggling to understand how some of the businessmen targeted were chosen, however, adding to swirling uncertainty. The Russian market is under additional pressure from a proposal by two U.S. congressmen to impose further sanctions on Russia over the poisoning of ex-spy Sergei Skripal and his daughter in Britain — allegations Moscow denies. The fragile economic recovery is now at risk and the government may have to spend money earmarked for fulfilling his pledges to bail out sanctioned Russian firms. Sharp falls in the ruble's value are also likely to make imports costlier, rattle the elite, and hit travel-minded Russians. Putin's spokesman, Dmitry Peskov, said he thought the slump in asset values would be short-lived. "There have indeed been strong negative trends on the market," Peskov told a conference call with reporters. "Partly that is to do with market trends, partly it's to do with the emotional fallout [from the sanctions]. There will subsequently be a correction." 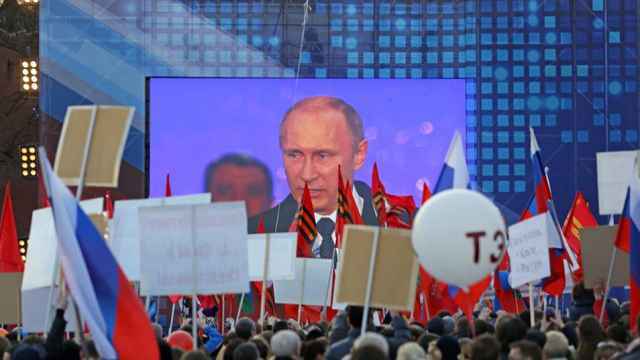 For Russian politicians and businessmen, the financial shock evoked painful memories of 2014 when Western sanctions imposed over Moscow's annexation of Ukraine's Crimea triggered precipitous falls, albeit much steeper, in Russian asset values. Kirill Dmitriyev, head of the state-run Russian Direct Investment Fund, told reporters at an annual Moscow Exchange forum to keep things in perspective. "We think it is an absolutely short-lived market reaction, which in large part is driven by speculators,” said Dmitriyev. “There were worse days," Tinkov told the same event. "I remember losing $1 billion in one day so it was actually a very positive day yesterday ... Being on the Russian stock market is like living on a volcano." Finance Minister Anton Siluanov said authorities would do everything they could to minimize the impact of the U.S. sanctions for business and financial markets. Nabiullina said she and her colleagues were closely watching the market correcting after Friday's U.S. sanctions, but expected things to settle down in time. "As happens with such situations, in the first days afterward there is heightened volatility because there's a lot of uncertainty and the consequences are not completely understandable for investors and market participants," Nabiullina told the Moscow Exchange event.
" ... But in our view some time is needed for the economy's financial sphere to adapt to the changed external conditions and I'm sure that the economy and the financial sphere will adapt." 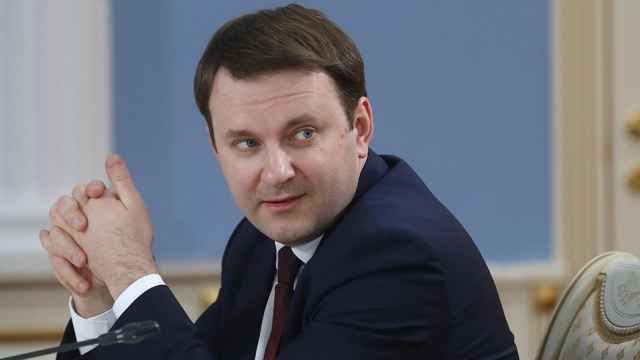 Sergei Shvetsov, the Central Bank's first deputy governor, said it might resume foreign currency repo operations if there was demand for such tools and they were deemed necessary for financial stability. 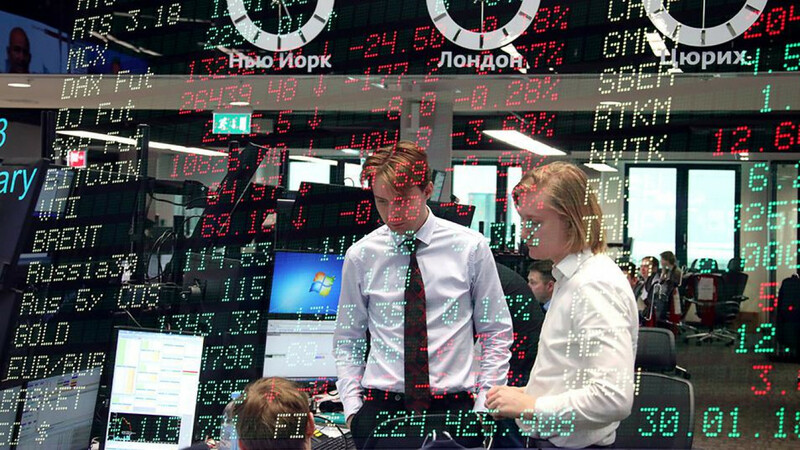 The Russian finance ministry canceled a regular weekly auction of OFZ treasury bonds on Wednesday for the first time since 2015, citing "unfavorable market conditions." Yields for the ruble-denominated bonds, popular among foreign investors, have sky-rocketed on news of the new U.S. sanctions. 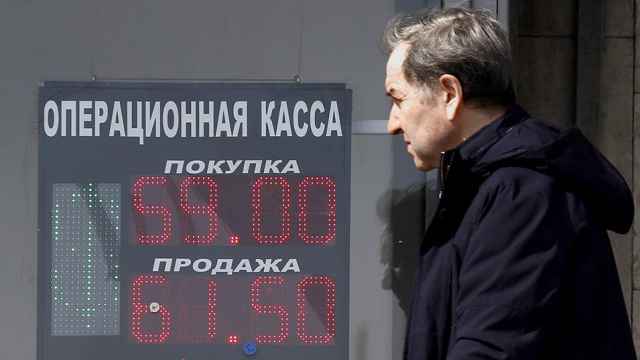 Economy Minister Maxim Oreshkin said the floating ruble rate was helping to offset a possible negative effect on the Russian economy. 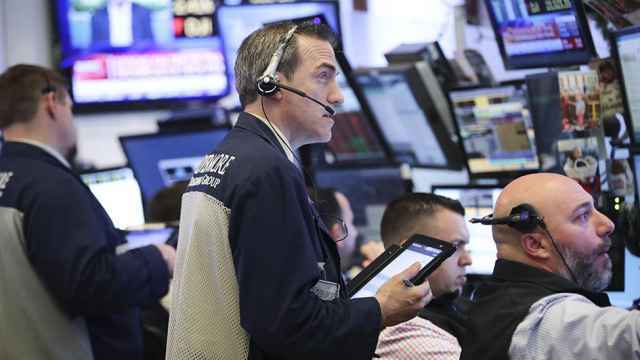 The economy is projected to grow by 2 percent this year after a 1.5 percent increase in 2017. Medvedev, who has spoken of possible retaliatory steps against the United States, told Putin that based on data for 2017 the economy was in general "absolutely stable" and that macroeconomic indicators were at the right level. Neither man made reference to U.S. sanctions or the market turmoil. Medvedev has ordered his government to prepare measures to support sanctioned Russian entities with aluminum producer Rusal, which saw its shares more than halve on Monday, expected to be among those helped. Rusal's own problems deepened on Tuesday after Swiss-based trader Glencore suspended a plan to swap its shares in Rusal for Global Depository Receipts in EN+, tycoon Oleg Deripaska's holding company. The United States imposed major sanctions on Friday against Russian officials close to President Vladimir Putin. The ruble sank to its lowest exchange rate against the U.S. dollar and euro since December 2016 on the second day of losses. Russian-held Crimean businesses will remain under European Union (EU) sanctions for another year.